◇The technological parameter, such as raw materials, temperature, and moisture, of this fish feed production plant is adjustable. Floating fish feed produced by this plant have beautiful appearance, unique taste and rice-nutrient, suitable for different fish and pets. ◇The fish feed pellet line is widely used in production of animal feed, such as dogs, cats, fish, foxes, birds and other pets. ◇ this floating fish feed processing line adopts double-screw extruding technique. 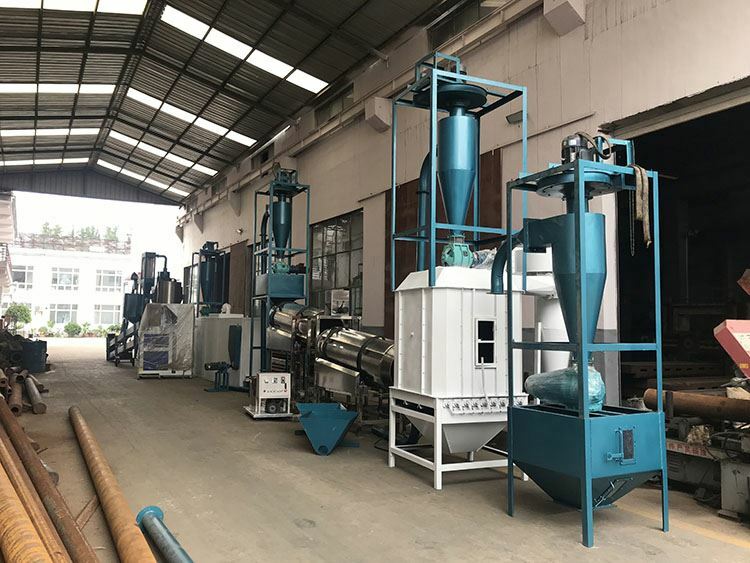 The fish feed pellet manufacturing process, from raw materials crushing to finished products packaging, an be finished at one time. Our floating fish feed pellet production line is the complete procedure of feed pellet production. This fish feed processing line is designed for making commercial pellets from corn, maize, grass, grains, protein, molasses and so on, and final pellets with different shapes, unique flavor, rich nutrients and fine texture, and this fish feed processing lines are widely used as aquatic and pet feed like goldfish, tropical fish, catfish, shrimps, dog, cat and etc.. Super automation control, high production efficiency, our floating fish feed production line is the best choice for medium and big sized feed mills and breeding farms. Complete pellet production lines with different capacities are also available to meet customers’ specific demands. This floating fish feed production line is newly developed to meet the demand of intensive production of animal fish feed pellets. With many specifications this production line can produce floating fish feed, sinking fish feed, pet feed, livestock feed, etc. The products can have different shapes, unique flavor, rich nutrients and fine texture to meet the different eating habit of animals. Super automation control and high production efficiency, our floating fish feed production line is the best choice for medium and big sized feed mills and breeding farms. Our fish feed production line can produce various kinds of pellets for different varieties of fishes including Halibut pellets, Catfish pellets, CatCarp pellet, Trout pellets, Hemp pellets, CSL pellets,etc. ◇ All the fish feed machines in this plant are with stable operation and advanced technology. It can satisfy the production demands of different customers on current market.